Strawberry apple and walnut loaf recipe | No added sweetener. 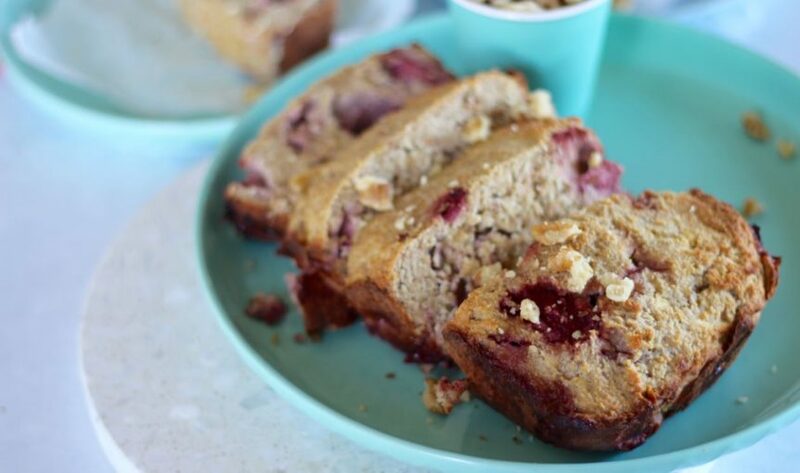 If you love our blueberry bread from our Get Merry recipe book you are going to love this super easy strawberry apple and walnut loaf recipe! Far out it is so yum. Like next level yum. This recipe is brought to you by Supabarn. If you’ve been following us for a while, you know how much we love them. We love them because they make delish, healthy ingredients and products available in a super market environment. Yes, their health food section is all kinds of epic! But we also love them because they’re an amazing company with a family good vibing feel. Like what we imagine it used to be like in the good old days (hehe). Ok, so back to this strawberry apple and walnut loaf recipe. We decided to make it sweetener free because the apple and strawberries make it sweet enough. Plus… hello butter makes everything oh so delish! Another reason we love it is because it’s so so so easy! 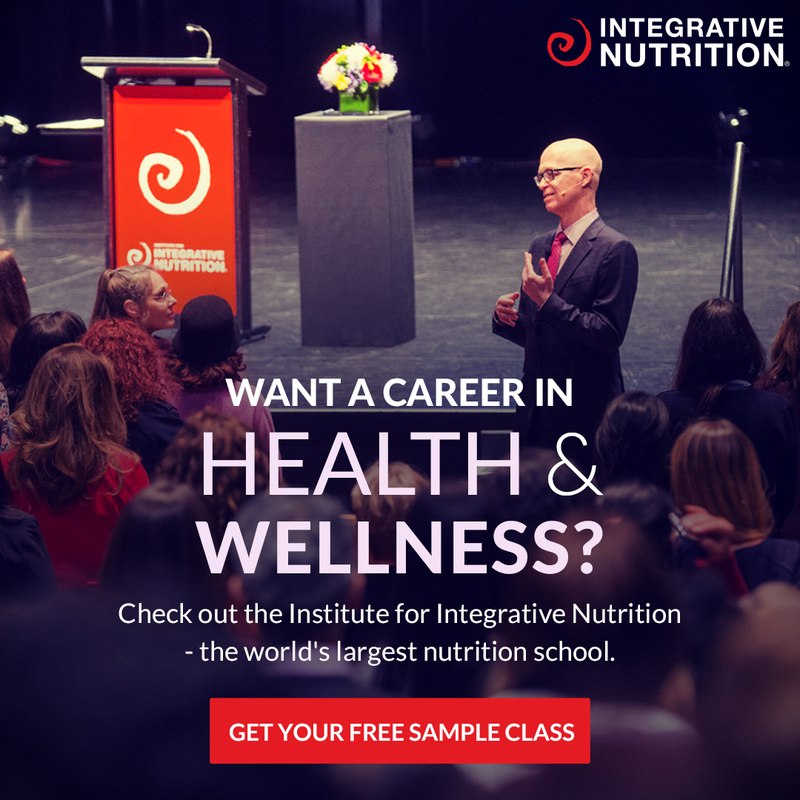 No equipment, like a blender or a mix master is required. Just a couple bowls and a spoon and a loaf tray. Gotta love that! Oh, wait there’s another reason we love this recipe! 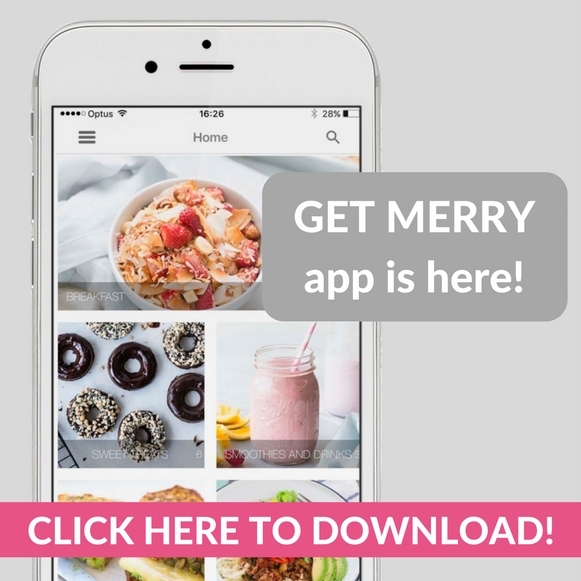 It’s the first Merrymaker recipe to be created in our new home! 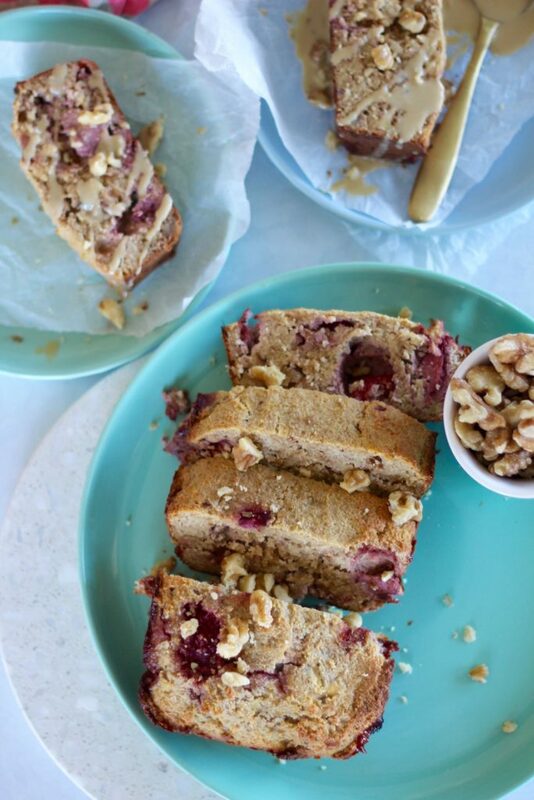 We can not wait to toast up a slice of this strawberry apple and walnut loaf for them. If you don’t follow us over on Instagram come and join the fun and checkout our new Blissland (yes, we named our house ‘Blissland’). If you make the recipe let us know! And remember, you are an amazing and beautiful human, inside and out. Preheat oven to 180°C (350°F) and line a 20 cm x 10 cm (8 x 4 inch) loaf tin with baking paper. In a large bowl add the almond meal, walnuts, cinnamon, baking powder and salt. Mix well. In another bowl whisk the eggs, then add the vanilla and butter and stir well. Add the apple and strawberries, stir again. Transfer the loaf mixture into the prepared tin and press down to even out the mixture. Place into the oven for 40 minutes or until cooked through. Allow to cool, slice it up and enjoy right away or freeze in small portions and reheat under the grill when ready to eat. You could even add dark choc chips for extra delish factor! OMG YES!